Excellent commentary this past week by Austin American-Statesman editor Juan Castillo on recent, hurtful and factually incorrect, comments made by NBC's Special Correspondent Tom Brokaw on "the problem" with Hispanics in the U.S. being that they're not assimilating. You can see his commentary for yourself here. Juan Castillo counters this effectively, citing an epic statement on this by Selena (played by actress Jennifer Lopez) in the film, "Selena." Talk about a redemptive statement that sheds light on the matter. For many of us, this one interchange between Selena and her father (played by Edward James Olmos) made the whole movie memorable and exceptional. Brokaw did ultimately apologize for offending Hispanics. Thanks to Juan Castillo for similarly challenging Brokaw's misinformed opinion that actually speaks more to fears of a loss of white centrality due to changing demographics, than to any valid characterization of Hispanics. 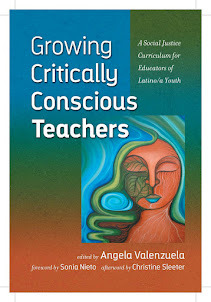 I wrote a whole book about this so-called problem with Hispanic assimilation, by the way, titled Subtractive Schooling: U.S.-Mexican Youth and the Politics of Caring that, even if there are glimmers of light—like Julián Castro's 2020 presidential bid—similarly helps to debunk tired, self-serving myths by an establishment that doesn't want to empower Hispanics or Latinos. I don’t know if Tom Brokaw has seen the biopic about the Tejano music idol Selena Quintanilla. If he hasn’t, I recommend he at least watch an indelible two-minute scene that might enrich his understanding of what it means to be a Mexican American. In it, Selena’s father, speaking to his on-the-cusp-of-stardom daughter and her brother, launches into a monologue about the dualities of their culture. His emotions burn slowly at first. Soon, they are fanned by a force of their own until he’s downright combustible. “And we gotta prove to the Mexicans how Mexican we are,” he says, “and we gotta prove to the Americans how American we are. We gotta be more Mexican than the Mexicans and more American than the Americans, both at the same time. The moment is visceral, a rare mainstream affirmation of the Mexican American experience. Brokaw, as we know, told a national television audience that in his opinion, Hispanics need to be more, well, they need to be more American. “They ought not to be just codified in their communities but make sure that all of their kids are learning to speak English, and that they feel comfortable in the communities, and that’s going to take outreach on both sides, frankly,” he said. I’m not here to get into Brokaw’s head and speculate on his intent, or surmise why one moment he was talking generally about some Americans’ fear “of brown grandbabies” and in the next breath, unprompted, offering his own opinion suggesting — at least to some — that he too is uncomfortable with this country’s demographic transformation. Maybe so, but Brokaw had already perpetuated the biggest and most tired myth of all: that Hispanics don’t assimilate into American society. Please, spare us the lecture that Latinos need to work harder at anything. Latinos — and Mexican Americans in particular — have fought over generations to be treated as equals, even in the face of historical bigotry against them. They have served proudly in America’s wars and conflicts, for example, often in numbers bigger than their percentage of the American population. The Voces Oral History Project at the University of Texas is dedicated to preserving these patriots’ stories and honoring their service. And just look around. Latinos figure prominently in every realm of American society, from politics to culture, from business to entertainment, from newsmakers to the people in the media who cover them. 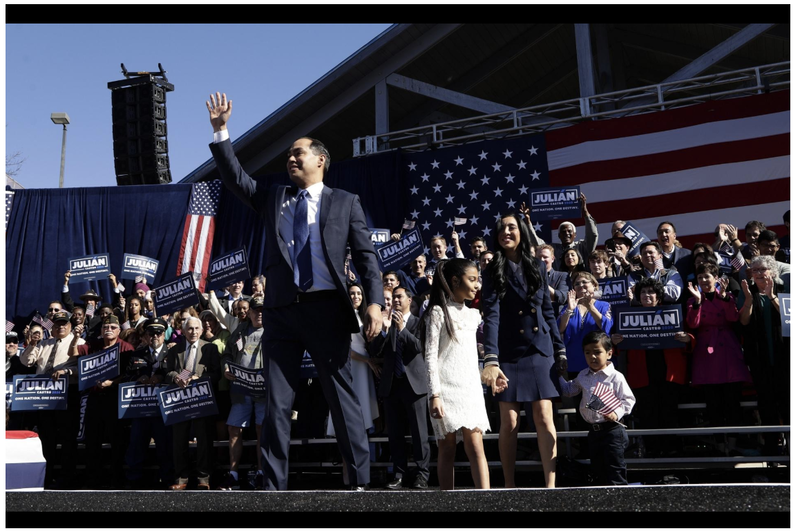 People like Julián Castro, the former San Antonio mayor and former HUD secretary under President Barack Obama. He and twin brother, Joaquin, are the grandsons of a Mexican immigrant. After graduating from Stanford, they got law degrees from Harvard. Joaquin is a U.S. congressman. Julián is vying to become the first Latino president of the United States. Is that assimilating enough for you? The idea that Hispanic children aren’t learning English is laughable, easily disproved by research showing that, as with other racial and ethnic groups, Spanish use declines as English becomes the dominant language among later immigrant generations. By the third generation — the U.S.-born children of U.S.-born parents and immigrant grandparents — 75 percent of Hispanics are English-dominant and 24 percent are bilingual, according to the Pew Research Center. Maybe Brokaw hasn’t heard that being bilingual is a game-changer in today’s workforce. Brokaw’s ideas aren’t new. That Selena movie is nearly 22 years old, and as history tells us, slurs and stereotypes against Mexican Americans have been weaponized for well more than a century. So why the uproar? Because Brokaw isn’t just anybody. A highly respected journalist, his comments feed a growing fear and resentment of change and diversity in America at a time when Hispanics are leading the change. They are the nation’s largest minority and are poised to become the largest racial or ethnic group to be eligible to vote in the 2020 presidential election. In Texas a growing Hispanic voting population is seen as key to turning the state blue. All this as Latinos unwittingly are swept into a caustic immigration debate that with a broad brush recklessly brands them as criminals and rapists. “Our family has been here for centuries and yet they treat us as if you’ve just swam across the Río Grande,” Selena’s father says in that blistering movie dialogue. Brokaw’s comments remind Hispanics of their historical struggles as marginalized people. So you’ll understand if they are sensitive about accusations that they’re not American enough. After all this time, it’s exhausting. Castillo is the Statesman’s Opinion page editor.